When you open a new personal Southwest credit card, you can earn the best-ever sign-up bonus offered for the cards: 30,000 points and a Companion Pass, which is valid for travel through 2019. Hurry, though; this offer ends on February 11. The Companion Pass allows you to bring along a companion on any Southwest flights for only the cost of taxes for the rest of 2019. Even if you don’t travel often, this sign-up bonus can easily offer significant savings on travel. The more you travel this year, the more value you’ll get out of this offer! If you’re considering the Southwest Companion Pass promo offer, it’s important to think about how much value you’ll get out of it as well as the value of the Companion Pass relative to the usual Chase sign-up bonus for Southwest credit cards. This pencils out for some people, but not for others. The Southwest Companion Pass entitles to you to bring along a companion when you fly Southwest. All you pay is the taxes and fees for the companion ticket, and it doesn’t matter whether you pay for the original ticket with cash or points. This is potentially a great deal if you frequently travel with someone else (such as a spouse or partner or child or friend). But if you usually travel alone, it’s probably not going to do you much good. Be sure that you’ll be getting good value out of the pass before leaving a larger sign-up bonus on the table. Chase typically offers a sign-up bonus of 50,000 or 60,000 points for Southwest credit cards. With this offer, you’ll receive half the number of points in your sign-up bonus — just 30,000 points — and a Companion Pass that’s valid for travel through December 31, 2019 after you spend $4,000 on purchases in the first three months. The value of Southwest points is variable depending upon how you spend them but ranges from approximately 1.4 to 1.7 cents apiece. At 1.5 cents per point, you’re leaving $450 in Southwest travel on the table by taking the lower point sign-up bonus if you don’t use the Companion Pass at all. Of course, that wouldn’t make much sense! 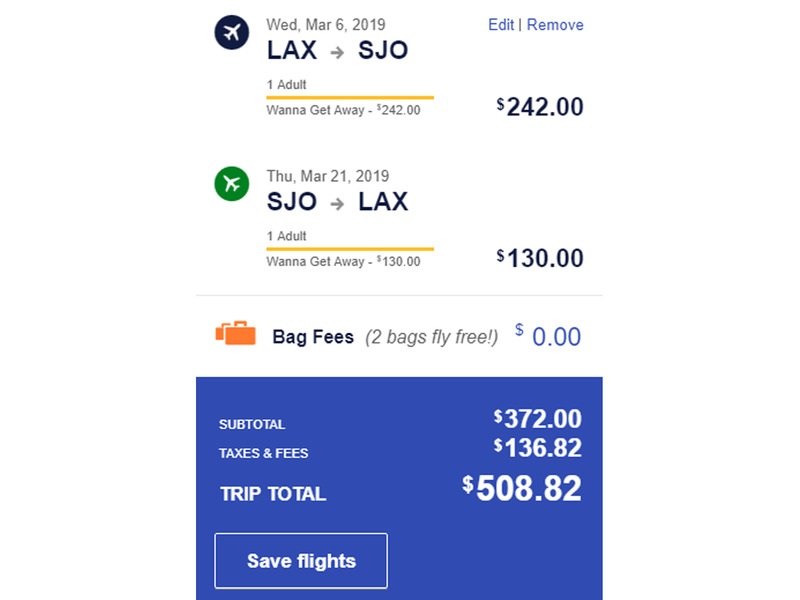 So another way to look at it is that you need to spend at least $450 in 2019 on Southwest travel with a companion to break even. Cheryl and Derek live in Sacramento with their two kids, ages 7 and 10. Both work a busy schedule and have very little time off. Once per year, over July 4 weekend, they visit Cheryl’s parents in Albuquerque. 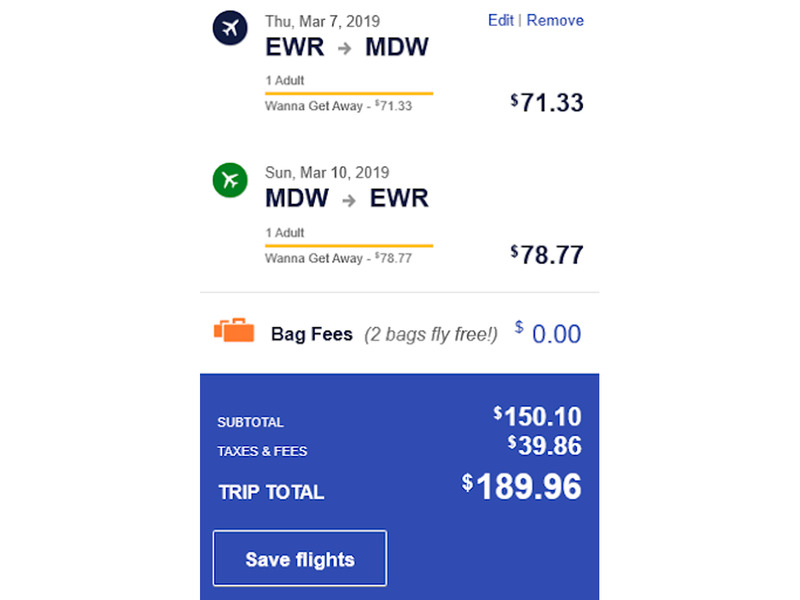 Southwest fares do tend to be more expensive than usual over holiday weekends, but an excellent sale fare is currently available for $280 per person. The verdict: Southwest offers exceptionally competitive fares in some markets, and this is one example. If Cheryl and Derek fail to use the Companion Pass for any other trips, they will not break even versus going for a larger sign-up bonus. Additionally, with a larger sign-up bonus, they would have enough Rapid Rewards points for three tickets instead of only two. Patty and Jim are a young couple living in New York. Patty’s mom lives in Chicago, and she and Jim love to visit on long holiday weekends. They usually fly. The couple also has a 10-day vacation planned to Jamaica in April. The trip to Jamaica alone yields more than breakeven on the Companion Pass, provided you don’t mind making a connection en route. This is true even if you ignore the fact that the one-stop Southwest flight is more expensive than a competing non-stop Caribbean Airlines flight. However, if they opted to take the competing non-stop to Jamaica instead and skipped using the Companion Pass, Patty and Jim would need to make quite a few trips to Chicago to break even. This is because Southwest has low, competitive fares in this market. 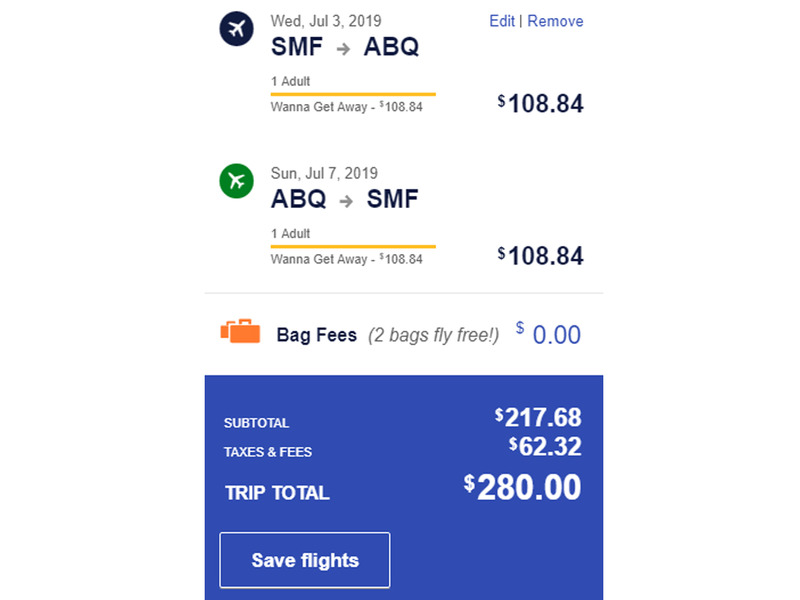 The verdict: Southwest doesn’t always have the best fares or most convenient connections in every market they serve. However, if you’re willing to be flexible, the Companion Pass can save you money. When their friends think „jet set,“ they think of Phil and Henry. Living in San Francisco, the couple both work in the tech industry for companies offering unlimited paid time off. Given the cost of office space in the Bay Area, remote work is encouraged, and since Phil and Henry love to travel together, they’re always visiting another undiscovered corner of the globe. That is, as long as it’s within three hours of the West Coast time zone! While the couple does love to take spur-of-the-moment trips, they typically use other airline programs for these because Southwest offers the best fares for trips planned in advance. Their most frequent Southwest destinations within the US are the Los Angeles area (at least once a month), Portland (three times during the summer), Las Vegas twice per year (Phil loves to gamble so Henry won’t let him visit more often), and Orlando once per year. In addition to this, the couple loves to visit Costa Rica. 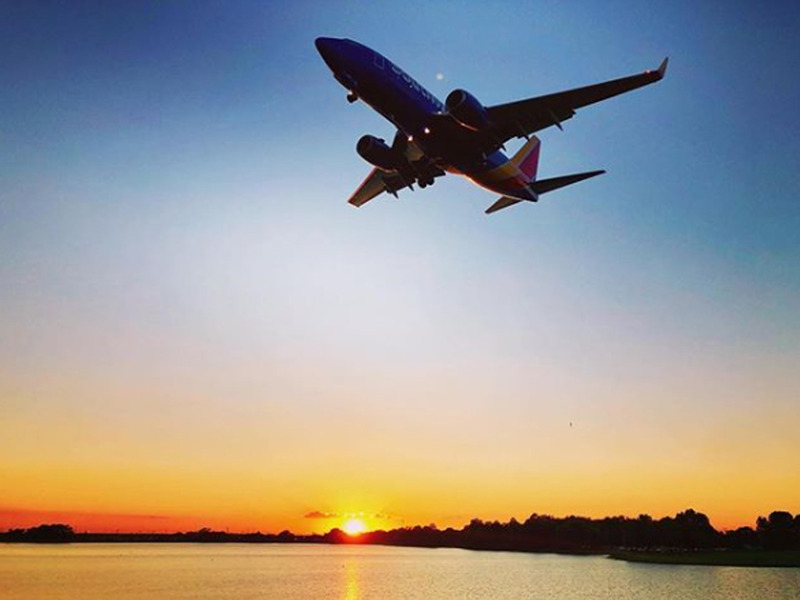 Given Southwest’s schedule, it’s difficult to get there from the Bay Area, but given their frequent trips to Los Angeles, it’s easy to leave from there. Los Angeles: Phil and Henry know how to find the lowest fares to the Los Angeles area. The secret? Fly midweek, leave from Oakland and fly to Burbank. Not only do they save hours of overall travel time (Burbank is much closer to their preferred destination of West Hollywood, and rental cars are a short walk from the terminal), fares are as low as $61 each way. Keep in mind, however, that given the timing of the promotion, the earliest they could have the Companion Pass is in February. This leaves room for about 10 trips per year, for an effective savings of $1,108. Portland: Summer fares to Portland are not very expensive either when purchased in advance for travel on off-peak dates. A good sale fare from Oakland is currently $76 each way, yielding $422.40 in effective savings for the three trips Phil and Henry plan to take. Las Vegas: If you guessed that this isn’t a very expensive market either, you guessed right! Fares in this fiercely competitive market are as low as $51 each way in between Bay Area markets and Las Vegas. While it’s easy to spend more on a ticket, Phil and Henry can plan their travel around the lowest fares. Accordingly, their Vegas junkets are only worth $181.60 in savings. Costa Rica: What’s better than a trip to Los Angeles? A follow-on trip to Costa Rica! It’s tough to fly to Costa Rica on Southwest from Los Angeles area airports other than LAX, but Phil and Henry are both willing to be flexible to put together a good itinerary. Costa Rica is a more expensive flight than the others, but you might be surprised that it’s surprisingly affordable. 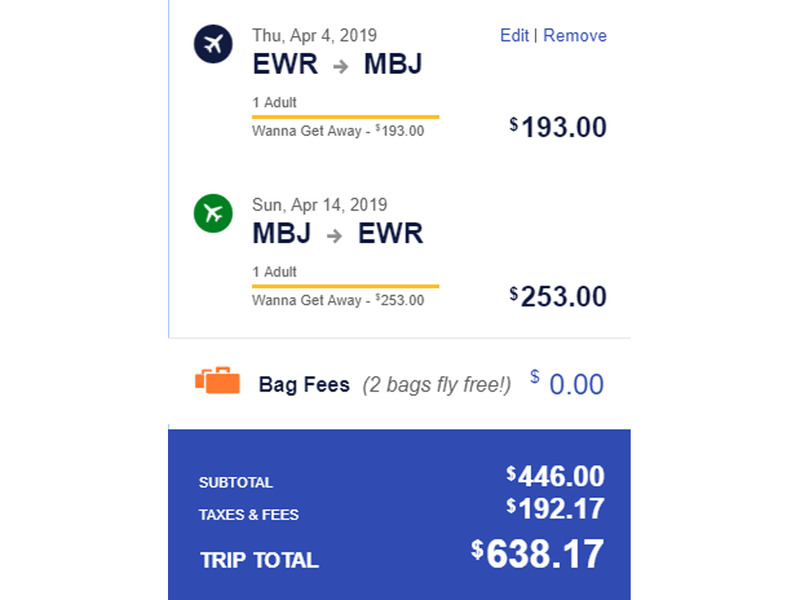 The effective savings is only $372 for this flight. The verdict: Unsurprisingly, the Companion Pass beats a higher sign-up bonus. However, because Southwest’s fares are so low, the savings are less than you might expect. For all of the travel they plan to take, Phil and Henry will net just $2,084 in savings. Then again, $2,084 buys a lot of hotel rooms and rental cars — and these are real savings, based on the money they actually would have spent. The Southwest Companion Pass can offer excellent value, but not for everyone. It’s best to have a solid plan for how you’ll use the pass before you sign up and be sure to compare other card offers with higher sign-up bonuses. Click here to learn more about the Southwest Rapid Rewards Plus Credit Card from Insider Picks‘ partner: The Points Guy. Click here to learn more about the Southwest Rapid Rewards Premier Credit Card from Insider Picks‘ partner: The Points Guy. Click here to learn more about the Southwest Rapid Rewards Priority Credit Card from Insider Picks‘ partner: The Points Guy.